This is a wonderful "last minute dessert" that uses every day pantry items and holds up very well in the fridge for a couple of days, if need be. The wonderfully sweet, rich (but mellow) coconut flavor comes from adding the coconut during the first stages of cooking this pudding. Even Picky-picky hubby loves this dessert !! In a heavy saucepan, mix the sugar, cornstarch, salt , coconut and milk. Cook and stir over medium heat until the mixture gets THICK and bubbly. Turn heat down a little (to medium simmer) and cook (and stir) for 2 minutes. In the meantime, put the 2 egg yolks (yolks only) in a small bowl and set aside. Remove pan from heat (but leave the burner on) and temper the egg yolks. To do this, slowly dribble about a cup of the hot mixture (while you whisk like crazy) into 2 beaten egg yolks. Once you've whisked in about a cup of the hot mixture, put it all back into the saucepan, stir well and put back on the heat and cook for one more minute. Remove from heat, add 1 tablespoon of butter and 1 teaspoon of vanilla and stir well. Pour into dessert dishes (or serve family style in a larger dessert bowl). Chill for a couple of hours, (I like to eat it warm). Either way, top it with sweetened whipped cream and toasted coconut. NOTE: Toast the coconut in a dry saute pan, over medium heat until it is golden brown (when it cools it will be a little crunchy and almost taste like coconut candy). Watch it very carefully, the coconut burns easily!! NOTE: This recipe doubles well. 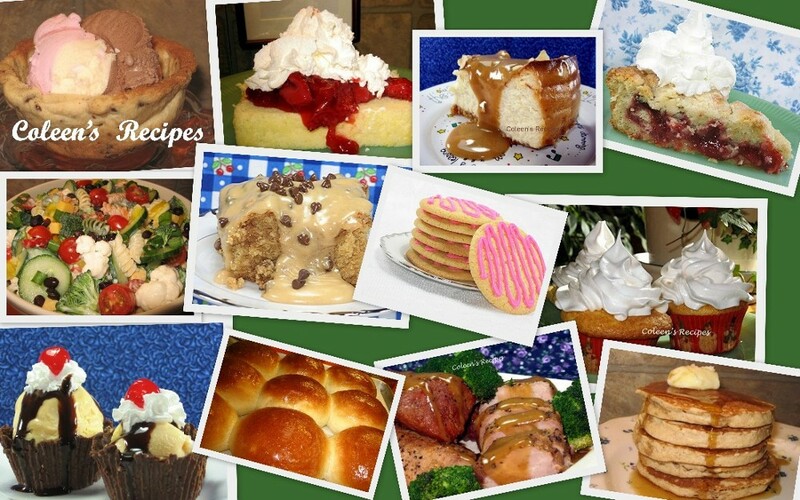 I sure would love to be sitting around the table with the wonderful things that come out of your kitchen! Yummy..anything coconut gets my attention and homemade puddings are always more tasty! I was busy cooking Wednesday I didn't see this post. I just found it and am starting on it right now! This is very similar to my coconut cream pie recipe, but to add even more coconut flavor I substitute the vanilla extract with coconut extract--delicious! 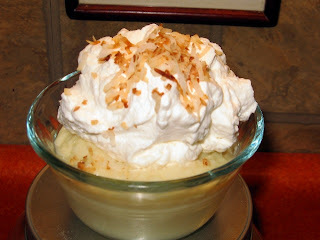 Oh, I LOVE coconut pudding!! Can't wait to try this!